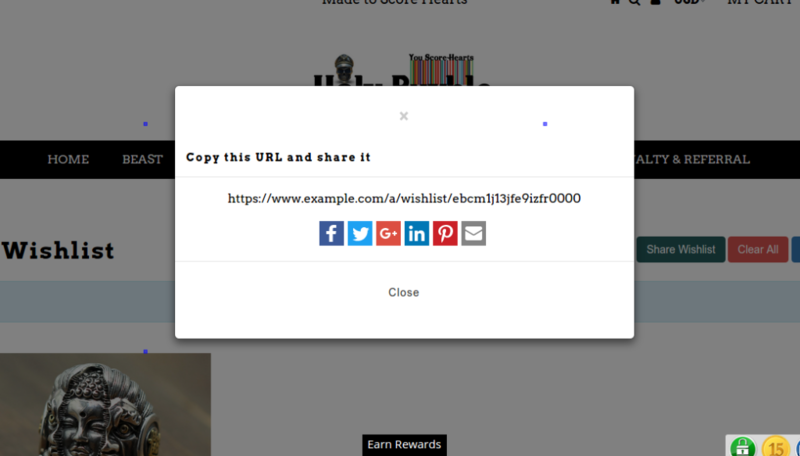 On My Wishlist page, sometimes the modals/popups are not displayed properly. The heights and width of various elements get distorted rendering a bad appearance. For e.g below is one such modal having distorted appearance. 2. Add the following CSS code to the second box of Extra CSS tool. Will be great that on the wishlist page for modal-windows You added custom css-class (e.g. smart-wishlist-modal or something like that) – it’s will very greatly simplify stylization current modal-windows. Because I use Bootstrap modal-windows for my site and i have some trouble with CSS conflicts on this page. I fixed this for my self, but if You will added custom class for Modal windows – it’s be VERY GOOD for developers, who work with Yours plugin.